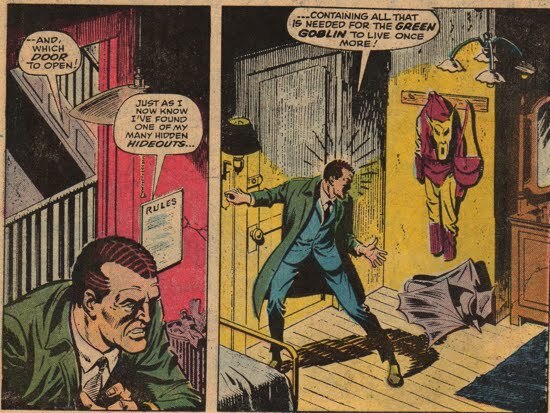 After the events of Amazing Spider-Man #47, Norman Osborn continues to live a Goblin-free life. But the amnesia brought on by the "electro-chemical" shock he received in Amazing Spider-Man #40 was not permanent, and memories of the Goblin slowly creep their way back into Norman's conscious. Norman's haunted memories are featured as a subplot in Amazing Spider-Man #61-63. They begin in Amazing Spider-Man #61 when Norman sees an advertisement for a news report on "The Legend of the Green Goblin". The ad immediately sends shivers down Norman's spine as he starts breaking into a cold sweat. He doesn't understand why he is so bothered by the image of the Green Goblin. Osborn then receives a phone call from one of his research labs requesting his presence. Apparently Dr. Winkler had ordered some electronics equipment that Norman did not authorize. The sly Winkler convinces Norman that the purchase was necessary but we soon see that Winkler has alternate motives. It turns out that Winkler is working with the Kingpin to develop a brainwashing device. Later, when Norman sees Winkler's lab lights on well after hours, he investigates further to see that Gwen and George Stacy are being held prisoner by Winkler. Spider-Man and the Kingpin are also present and they are battling each other in the lab. Norman performs a truly altruistic act when he puts his life on the line to save Gwen and George by attacking Winkler and knocking him unconscious. Winkler eventually is killed by an explosion, which was triggered by the gunshot Winkler fired when Osborn had tackled him. Osborn helps Spider-Man track the Kingpin as the villain tries to escape and he later provides an account to the police to help exonerate George Stacy. 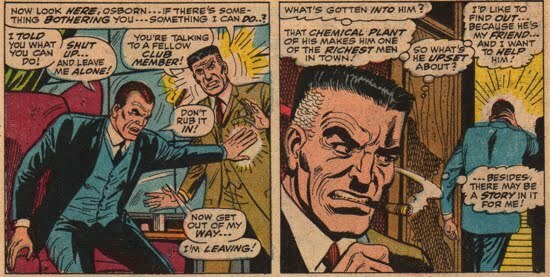 In Amazing Spider-Man #62, Norman is suffering from consistent headaches and he snaps on his friend J. Jonah Jameson as Jameson complains to him about the "working man". After pushing Jonah aside, Norman continues to be haunted by images of Spider-Man and the Green Goblin. He sees an unmasked Spider-Man but cannot make out his face (eerily similar to the status quo for Norman during Brand New Day). In Amazing Spider-Man #63, Norman's Goblin memories are triggered again, and he visits his son Harry to tell him that something is wrong. Norman goes on to say that he feels so confused and strange and that he keeps seeing images of Spider-Man and the Green Goblin. Harry tells his father that he has been working too hard and he should rest more. He also tells his father that he should stay with him until he feels better. 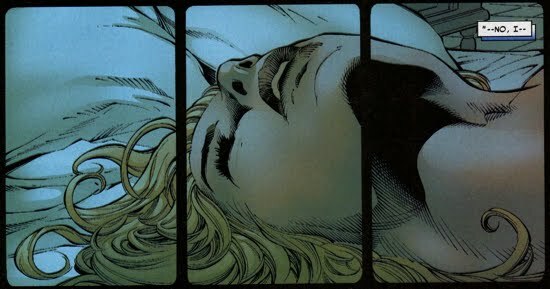 In the Sins Past storyline featured in Amazing Spider-Man #509-514, MJ reveals to Peter that she was aware of an affair that had occurred between Gwen Stacy and Norman Osborn. 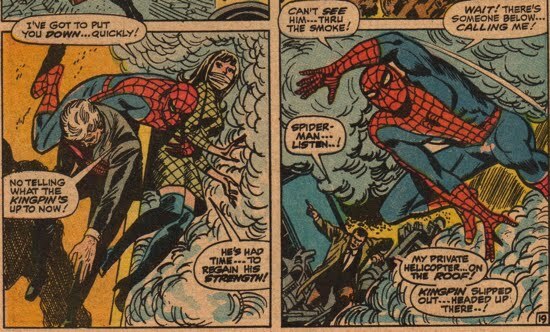 The exact timing of this affair is unknown, but it is likely to have happened soon after the events that transpired in Amazing Spider-Man #61-63. There a multiple reasons for this, but one could speculate that Norman's rescue of Gwen and her father may have sparked a potential relationship between the two. Also, Norman was in a weakened mental state at that time as he battled to keep his maniacal Green Goblin persona at bay. In Amazing Spider-Man #512 as MJ recounts the story she states that when Gwen went to see Norman she found him "upset, sad, almost broken." 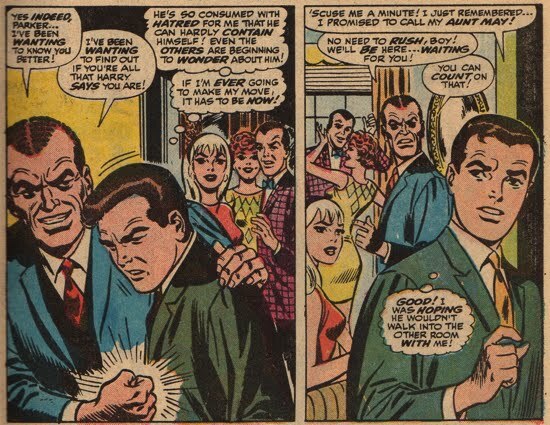 Those are characteristics of a Norman Osborn that is not under the grip of the Green Goblin persona, helping to place the affair most likely before the events of the Spectacular Spider-Man Magazine #2. 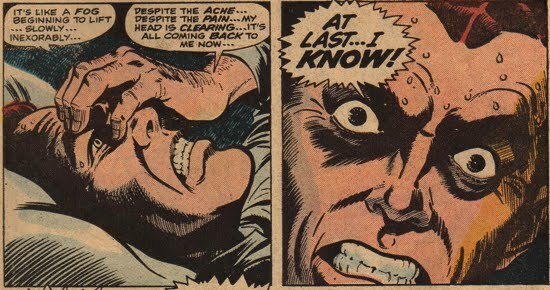 The recent relapses eventually culminate in the full-fledged breakdown for Norman Osborn that is seen in Spectacular Spider-Man Magazine #2. In that story, Norman, Jameson, Harry, Peter and some others gather to listen to a presentation by Captain George Stacy on super villains. 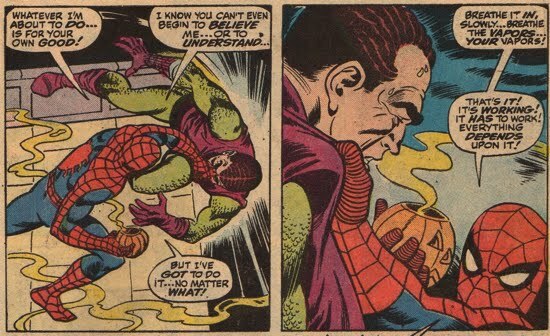 The images of the Green Goblin battling Spider-Man spark Norman's memory and the intense emotional rush causes Norman to collapse on to the floor. Everyone is scared for Norman, but Peter realizes that Norman's memories of the Goblin may be returning to him, which is trouble since he knows Peter's alternate identity. 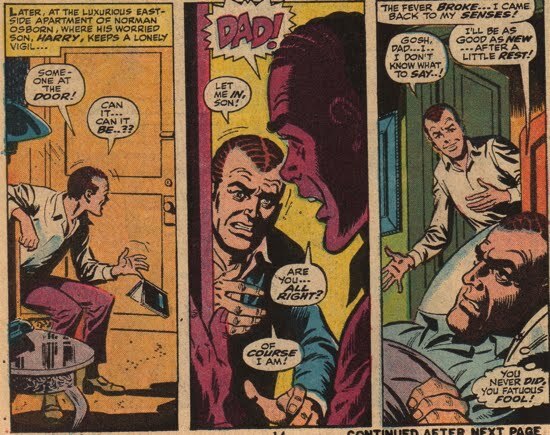 Osborn's dizziness spell lands him in a private hospital room where images of Spider-Man and the Green Goblin keep in him in a constant state of unrest. Eventually Norman recalls everything, realizing that he is indeed the Green Goblin! He then makes a mad dash out of the hospital and heads directly for one of his Goblin hideouts, where he swears revenge on Spider-Man. Norman stays off-radar for a few days, and his disappearance causes Harry a great deal of stress as he searches for his father. Norman Osborn's whereabouts become a concern in Amazing Spider-Man #65, where a very concerned Harry Osborn is searching for his lost father and he heads to Norman's club to inquire about him. One of the club members mentions that Norman has not been seen there for days and J. Jonah tells Harry to relax because 'Norman Osborn knows how to take care of himself' (if Jameson only knew the half of it!). Harry cannot (or maybe he's reluctant to) understand why his father becomes so disturbed by the mere mentioning of Spider-Man or the Green Goblin. Harry's search for his father continues in Amazing Spider-Man #66 as he heads to one of Norman's industrial plants in an attempt to track him down. One of the security guards at the plant tells Harry that Norman has not been seen there for days and that they had figured he'd been on vacation. But as Harry and Peter leave, we see that Norman is peering at them from a distant window, fully garbed as the Green Goblin. Norman's psyche is extremely interesting at this point because he clearly knows that he is the Green Goblin, yet he does not know Peter is Spider-Man. However, his memory will slowly return to him and by the time he resurfaces in Spectacular Spider-Man Magazine #2, he's aware that Peter is Spider-Man. Norman holds a gathering to celebrate his return to health and he invites Harry and his friends in order to ensnare Peter. During the meal, Norman antagonizes Peter, encouraging him to share with group more "about himself". Peter immediately recognizes Norman's shift in personality, so he creates a diversion and gets out of Norman’s home. This does not stop Osborn and he goes to Peter’s Aunt’s house. 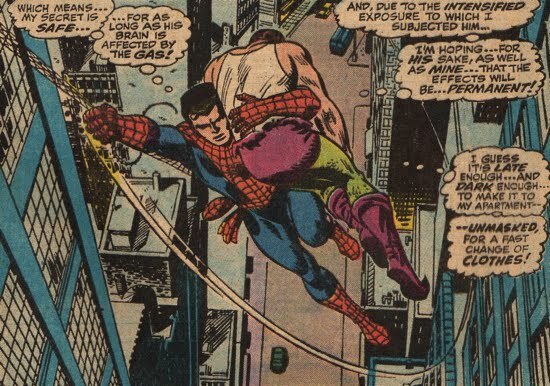 A fight ensues and Spider-Man is exposed to a pyschedelic bomb, which allows the Goblin to render Spider-Man helpless. However, Spider-Man soon recovers and he uses the same pyschedelic bomb on the Goblin. 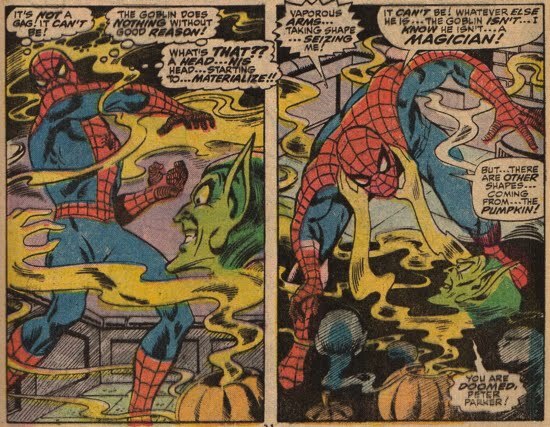 Spidey removes the Goblin mask and shows it to Norman, but Norman is in a state of panic and does not want to see the Goblin mask and have to "face himself". Norman then begins to tear the Goblin attire from his body. The emotional toll on Norman is catastrophic and his memories of the Goblin and Spider-Man are cleared once again, leaving Peter's identity safe for now. Peter then takes Norman to the hospital, telling the nurses that Osborn is just "over tired" and that his son had thrown a party for him that must have just been too much excitement. 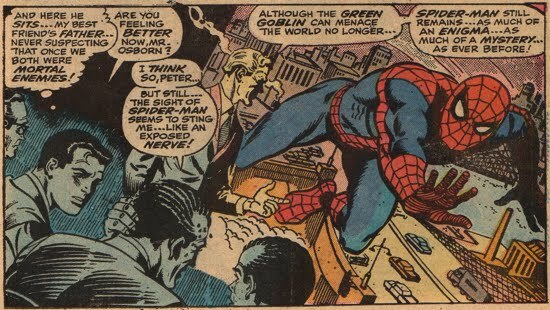 Peter and Norman's history as Spider-Man and the Green Goblin remain secretly kept to Peter himself. One interesting tidbit worth including in this section comes from Spectacular Spider-Man #250, during a scene where Mary Jane is reminiscing about the past. 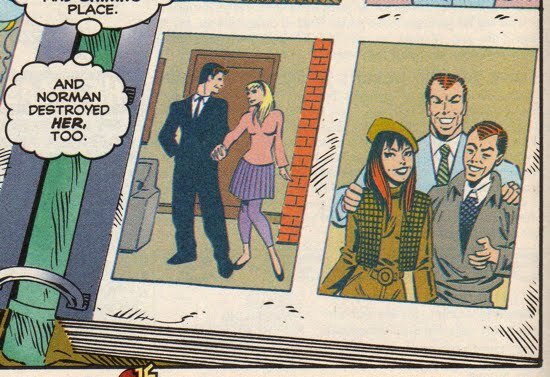 As she pages through a photoalbum she comes across some old pictures of herself, Peter, Harry, Gwen and of course…Norman Osborn. There’s one photo that features Harry, Norman and Mary Jane and they all appear to be in good spirits. This photo is most likely taken whilst Harry and MJ were dating, which places it on the timeline close to the events featured in this section (thus its inclusion). It certainly begs the question of how much time did MJ spend around Norman Osborn during these years? Or is it possible that this picture was taken during the events of Spectacular Spider-Man Magazine #2? Imagine that, Norman goading Peter into revealing his alter ego all the while taking yuck-it-up photos with Harry and Mary Jane! Its a stretch I know (mostly because they're wearing different clothes in the separate panels). We’ll never know the exact circumstances around that photo for sure, but its certainly fun to think about!